You’re invited to DMF Youth’s next fitness fundraiser supporting over 100 underserved children attending our free afterschool programs! Join us for a 45 minute Cardio Sculpt class lead by DMF Youth founder and veteran Physique 57 instructor, Lindi Duesenberg, and co-founder of the ness, Aly Giampolo! 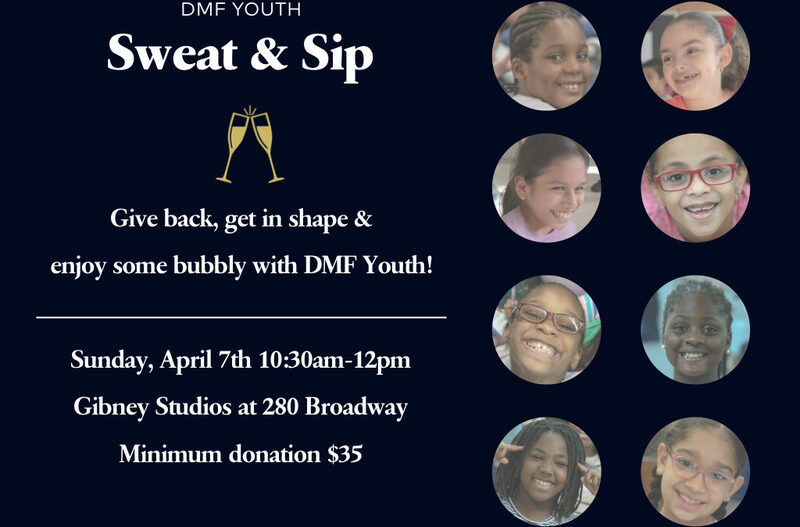 After class, sip on a glass of bubbly, enjoy a treat and learn what DMF Youth is up to and how you can help us make a bigger impact! To sign up, click the button donate button below and let us know you’ll be coming in the message of your donation! Can’t come but still want to help? We’d love that!